Maybe because I was born and bred in Holland, where nature is under huge pressure and highly fragmented to such an extent that it now merely resembles some scattered plant pots, I love the African bush. The wilderness and wide open spaces filled with animals that are part of an ecosystem with a functioning food chain, still holds my complete fascination. Whenever I spend time in the bush, I seem to develop an even closer bond with nature and feel even more respect for the natural order. So it goes without saying that safari never really bores me. However, it can become a little unimaginative and cliché – the typical African-design lodge with opulent rooms, offering modern and lavish cuisine, day and night game drives, and, if you are lucky, the occasional nature walk. Hence, I was truly excited to be invited by Nicky Arthur PR to visit Gondwana Game Reserve near Mosselbay, who were introducing their new Tented Eco Camp. Better known for their upmarket Kwena Lodge and the private safari houses, Tented Eco Camp is Gondwana’s the new, green kid on the block. Mark Rutherfoord, owner and driving force behind Gondwana, had a childhood dream to one day own a game reserve. In 2003, Mark and his wife Wendy started looking for potential locations to make this dream a reality and came across a sheep farm near Mosselbay. “We knew that this destination could work”, says Mark, “the Western Cape was relatively untouched in terms of big game and unknown as a wildlife destination, which was going to be a challenge, but this was the gateway to both the Garden Route and Cape Town.” Kwena Lodge and the real estate on Gondwana created the sound financial basis for the business, making it a viable and sustainable venture. To develop an eco-camp had always been part of Mark’s master plan and eight years ago he had already identified the location for such a camp – a small and intimate valley in a secluded part of the reserve. This is where you can now find five brand new Meru-style safari tents set on wooden decks. If it wasn’t for the fact you arrive via Kwena, you would have no idea there are actually other people on the reserve. The camp is fully off-grid and has no cell phone reception, but all your mod-cons are provided, including warm and comfortable beds, hot showers, flush loos and solar light. The vibe of the camp is relaxed and informal, which is also reflected in the food they serve – a fresh and wholesome affair with lots of South African staples, like potjies, braais and potbrood. Despite its laid-back atmosphere, the camp is run professionally by Brendan and Stevie Strydon, ranger and conservationist husband-wife team, with help from Abongile. I love their passion for the bush and conservation, and their enthusiasm to make the camp and its hands-on, eco focus work. The camp’s more down-to-earth accommodation style goes hand in hand with the activities on offer – hands-on, involved, and educational, but a lot of fun at the same time. Guests are booked in blocks of five nights from Monday to Saturday, with special family departure dates. This way everybody starts on the same day and goes through the (bonding) experience together. This is what makes Tented Eco Camp a truly authentic experience. Not only will you be given ample opportunity to see the Big Five and all the other flora and fauna on the reserve, you can actually make a small contribution to their conservation. Driving around the reserve to carry out game counts to analyse what vegetation herbivores mostly feed on and where, setting up camera traps to get an insight into some of the nocturnal visitors, undertaking invertebrate surveys to evaluate the water quality of their rivers and streams, and tracking their radio collared lions, so that among others the Kwena rangers know where to take their guests to for the big cat encounter. One of Gondwana’s biggest challenges is the encroachment of alien vegetation, especially Black wattle and Port Jackson, both dating back to the farming days. These invasive trees create monocultures that contribute very little in terms of conservation value and more importantly soak up huge quantities of groundwater leaving their streams literally dry. All guests get involved in their eradication programme. We went out one afternoon pulling Black wattle saplings and chopping the slightly bigger individuals. Hard work, but extremely rewarding and we appreciated the sundowners afterwards even more. We all sometimes make the mistake of believing that everybody enjoys experiences in the same way and intensity as we do ourselves. However, the expression ’different strokes for different folks’ could not be more apparent reading my fellow traveller, Liezel’s story on Gondwana’s Tented Eco Camp. Even though she needed a little longer to warm to the hands-on attitude, she opened her mind, found the bush-baby inside herself, and fully embraced the opportunity to probably be closer to nature than she wished for. And did she whack that Black wattle – you rock sister! This story was also published in the Responsible Traveller Magazine (Edition 3 – 2016, page 50-55), on Nicky Arthur PR and Elela Africa. I think when guests get to be more involved, such as clearing of alien veg, or noting down animal behaviour – they have a much richer experience and learn and remember so much more! 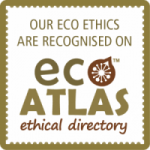 Bravo Gondwana tented eco camp! I must say, it was brilliant having you as a travelling companion. I loved this article. Thanks Liezel, likewise…..hopefully we’ll have another opportunity soon!